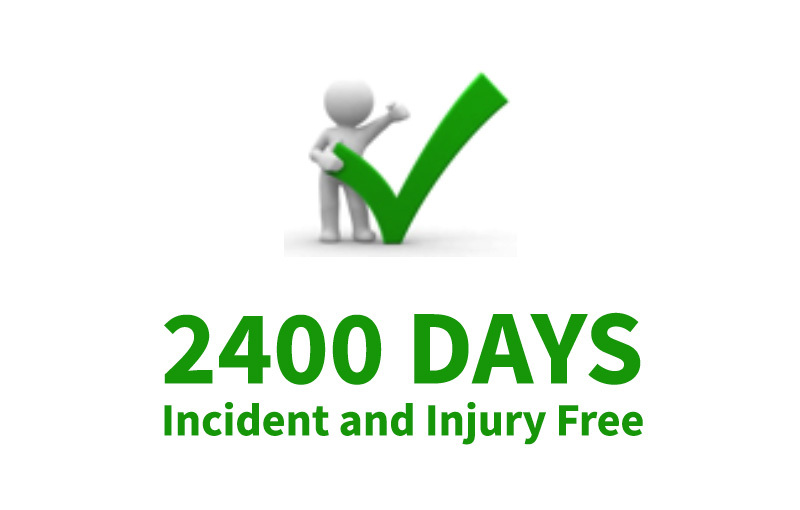 On 31st January 2017, DSQ reached a significant Safety milestone of 2400 days incident and injury free. This is a remarkable achievement for the entire DSQ team and testament to the commitment and ongoing efforts by staff and management. Congratulations to everyone who’s contributed to reaching this milestone, and let’s be sure to keep up the great work. Stay Safe everyone!